The pressure of an emerging tooth beneath the gums may be relieved by counter pressure, so teething babies often want to chomp on things. The chewing instinct may also be a response to the odd sensation that something’s going on in there. Before a new tooth erupts, it can cause a red, swollen, bruised-looking area on a baby’s gums. Sometimes the gum bulges with the emerging tooth, which you can see faintly beneath the skin (if you can convince your baby to open his mouth for long enough). While it can also be a sign of an ear infection, tugging can be a symptom of teething: The pain from the jaw gets transferred to the ear canal. Babies who are eating solids may want to nurse or bottle-feed more because a spoon irritates their inflamed gums. Others may do the opposite, eating more than usual because the counter pressure feels good. And babies who are still on the bottle or breast may begin feeding eagerly but pull back because the activity of sucking puts uncomfortable pressure on the gums and ear canal. Since some signs of teething may actually be signs of illness, please call your baby’s doctor if the above symptoms don’t ease after a few days or if they worsen. Camilia is a safe, natural one-product solution for painful gums and irritability caused by teething. Its sterile, single-use doses are easy to administer and worry-free. There’s no risk of overmedicating or numbing your baby’s gag reflex. 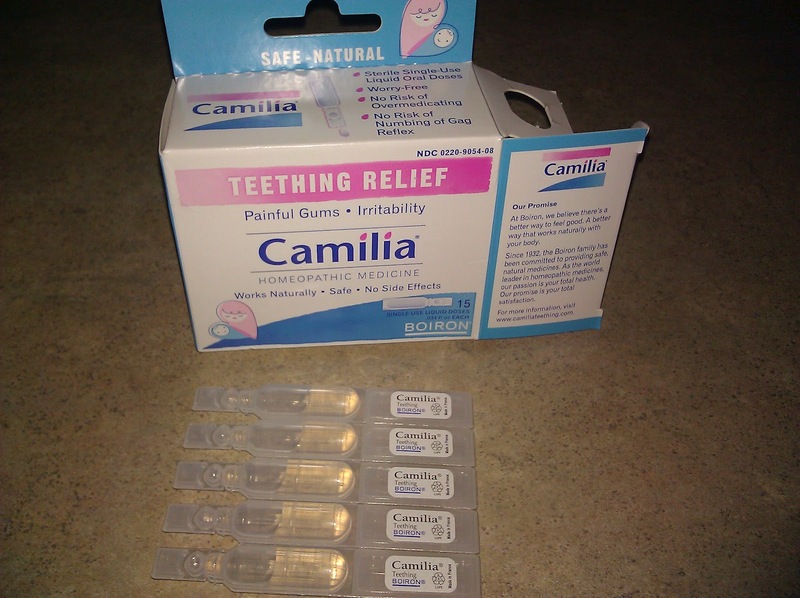 And Camilia does not contain benzocaine, dyes, sugar or preservatives. More information can be found at www.camiliateething.com. My thoughts-I love that this product is natural. Who wants to drug their babies? I like that it is premeasured in the single use doses. Gia did not complain at all. Gia has been drooling since month 1. I was glad that Camilia can be used from 1 month old. It is easy to use. This giveaway ends 5/24 @ 8 am. 1 winner will be randomly selected. The winner will have 24 hours to claim their prize. US only. Please leave your email in the comment. Good luck. ***Disclosure-No compensation was received. Sample product provided for review. This product has been Gia tested and Independentmami approved. follow Camilia on Twitter under the username likwan. I tweeted the requested message on Twitter at https://twitter.com/likwan/status/205602838720679939.